The time has come for you to select your player of the season. Voting slips will be available at our desk at the remaining home games. 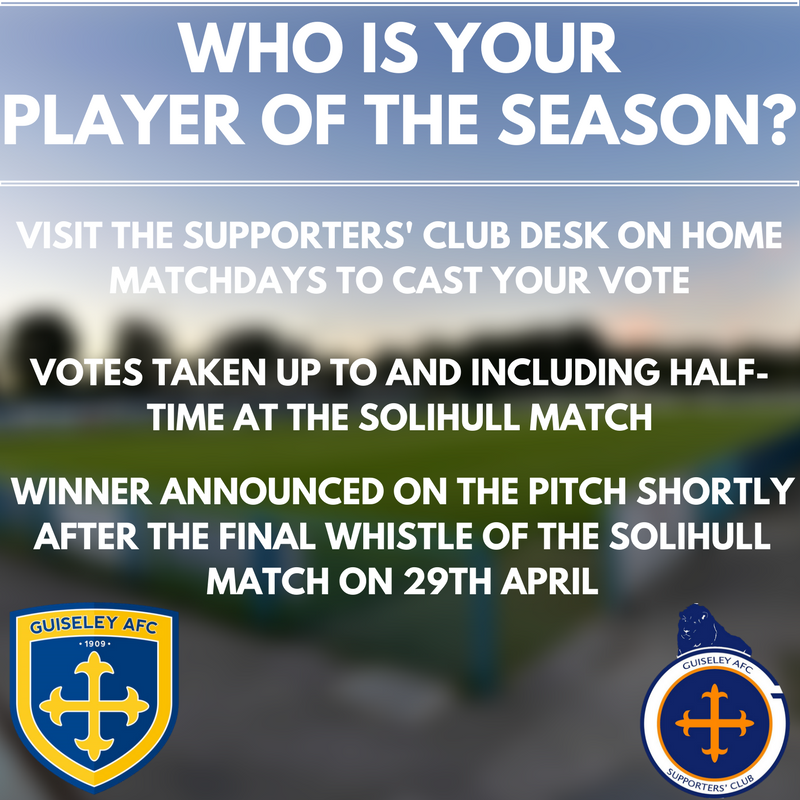 You must cast your vote by half-time on 29th April when Solihull Moors visit Nethermoor for the final game of the 2016/17 campaign. It has been a very memorable season, from 13 games in with no wins to beating Lincoln City and thrashing York at Nethermoor and success on the road with an impressive win at Dagenham. The winner of the Craig Shearstone Guiseley AFC Supporters' Club Player of the Season award will be announced on the pitch shortly after the final whistle of the Solihull Moors home match.